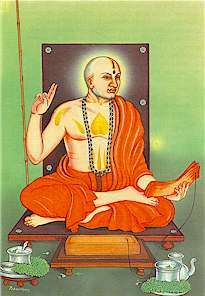 Madhvacharya was a great religious reformer and an orthodox commentator on the Brahma Sutras and the ten Upanishads. He was born in 1199 A.D. at Velali, a few miles from Udipi in the district of South Kanara in South India. He was a Tulu Brahmin by birth. He was born of Madhya Geha and Vedavati. Vedavati was a virtuous woman. Madhva is regarded as an incarnation of Vayu, the Wind-God. The father gave him the name Vasudeva.